-including Orindary, his creator-owned series with D’Israeli that was aired in the Megazine. Working to genre; meta-commentary; verbal jokes; visual jokes; putting his characters through the wringer (you definitely don’t want your day-to-day life story written by this guy); finding stories to tell that no one else is telling. In interviews, Rob Williams comes across as pretty quiet and unassuming, with an undercurrent of frighteningly intelligent. By contrast, his writing output for 2000 AD is remarkably, and laudably ambitious. For my money, this took a while to come off, but over the last few years I’d say he’s become, perhaps, 2000 AD’s most exciting current writer. He still has the ambition to tell stories with big ideas, and has managed to marry this up seamlessly with inventive characters, subtle (and sometimes not so subtle) wit, and straight up exciting action. It doesn’t hurt that he puts in a lot of meta-texture, e.g. with Dirty Frank and the narrator of Ichabod Azrael; I’m a sucker for meta-texture. I wonder if he was maybe trying too hard, early on. His first series was Asylum – sufficiently successful that it had a sequel. The story was about aliens trying to find a new life on Earth, only an evil cabal of right-wing religious nuts were killing them. It was an overt but somewhat skewed 2000 AD take on the real-world concerns about asylum seekers / immigrants trying to move from the third world to the first world. Nothing wrong with that, and the series had a charming protagonist in Holt (although I think Boo Cook’s design carried a lot of the weight of that). The conspiracy story itself was fine, but the villain’s motivation really rubbed me up the wrong way. Still, a noble and definitely notable debut. After all, when was the last time someone tried to tackle a real-world issue head on? Next up, a full-on murder mystery – another largely neglected genre in the Prog. Breathing Space again combined some excellent ingredients: clever setting, gorgeously moody art (from Peter Doherty and ably followed up by Laurence Campbell), a page turning plot – but, again, didn’t quite pull off the full whammy of believable characters. 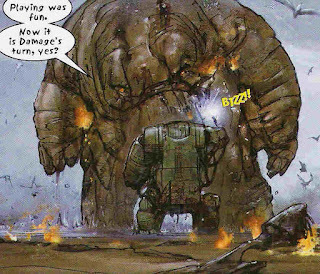 It did show the first signs of Williams’ facility with the world of Judge Dredd and Mega City 1, mind. Murder mystery comics: more please. Over in the Megazine, Family took on yet another popular but under-used story idea: gangsters. Only, gangsters with super powers. Another top artist, another decently constructed story. The 10 Seconders picked up on super powers again, in a way not seen since Zenith, although it couldn’t have been more different from that. It’s something of a spiritual successor to the likes of Miracleman / Marvelman and The Boys: partly ‘what if these people were real?’, but from the non-powered humans point of view, with its superpowered Gods as villains through and through. So, definitely ambitious! In the world of the 10 Seconders, the Gods talk like they're scripted by Grant Morrison. The humans are not impressed. As if to undercut that, this series saw the first use of a later Williams staple – the comic relief character who really knocks the wind out of any possible ‘take me seriously’ moments. Harris, the useless Welshman. ** And Williams’ general tone very much acknowledges that of course super-powers are a fantasy. He wisely eschews going the New Statesmen or Watchmen route of going into politics. I do love the juxtaposition of unbeatable foes with uncaring heroes. 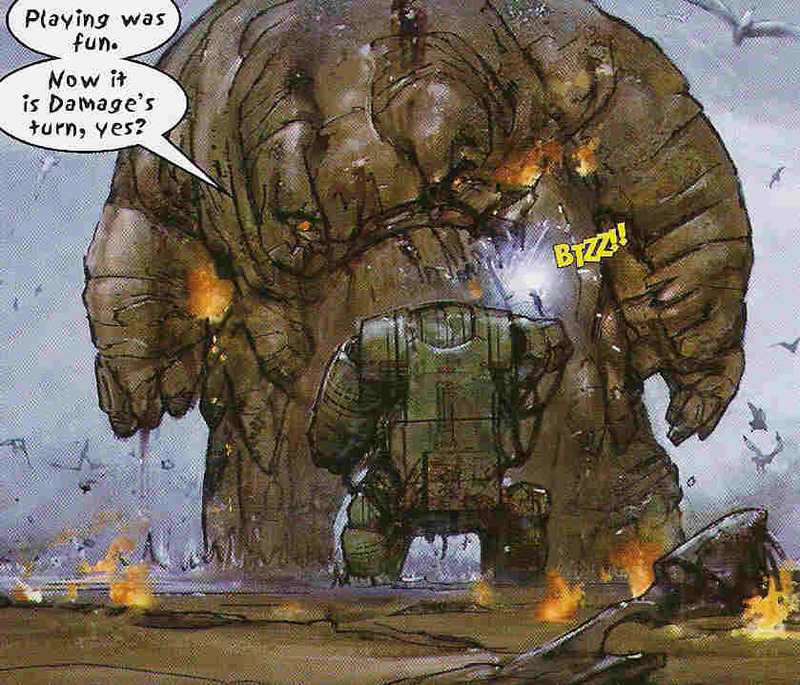 Proper 2000 AD, that is. For my money, the 10 Seconders was a tale with great characters, and a genuinely intriguing take on an old premise, but too often the sense of awe invoked by both writing and especially the art got in the way of an actual story. It works so well because the world of Dredd, from a readers point of view, is mostly about weird future crime. The Low Life – a nickname for an especially run-down sector of Mega City 1 – trades on that weirdness by design. To go undercover in the weirdest sectors, you have to be pretty weird in the first place. Aimee Nixon, original star of the series (and lately turned full-on Judge Dredd antagonist, for reasons that have escaped me), is a classic anti-authoritarian character. Wally Squad Judges have always been used to poke at the monastic lifestyle of Mega City Judges. Nixon has proved to be very good at this. Aimee Nixon struggles with identity. A proper recurring theme. Follow-up stories with the beardy man and the baby were arguably on the wrong side of too silly, but only just. (Heavy Metal concerts and genre Conventions were perhaps too-easy targets for the satire gun) And then, as if by magic, Williams found the sweet spot he’d been circling around for so long, and he’s never looked back. Creation blew my socks off with its audacious embracing of actual religion vs religion as drug, coupled with the profundity and insanity of Dirty Frank. Exploring the nature of corruption and loyalty in Hostile Takeover moved Low Life firmly into serious drama territory, with a strong undercurrent of comedy, as opposed to the other way around. The Deal had giant hologram battles in Hondo City. Over in the Megazine, Aimee Nixon explored Union politics and employment in War Without Bloodshed. Saudade had Mr Overdrive. Nixon and Frank discuss philosophy. Meanwhile, Williams has been killing it on Judge Dredd, again juggling real-world concerns with outright weird comedy and serious examinations of the Justice system. And then there’s The Grievous Journey of Ichabod Azrael (and the dead left in his wake). Reteeming with Dom Reardon (last seen on 10 Seconders book 2), Williams picks up another obvious but neglected genre, the western, and finds new gold. He mixed in a bit of religion, a couple of nods to Preacher and Missionary Man, but was rapidly off into uncharted waters. It may have western trappings, and delightful western-style language, but this is a story about the nature of tragedy (you know, in an Aristotle way), and also about the unknown fate awaiting us all in the afterlife. Ichabos Azrael has the power to kill what does not live. But what does that mean for us? If it flagged a little in the time and space hopping journey of series two, it pulled it all back together for the full-meta fun of series three. Simply glorious. 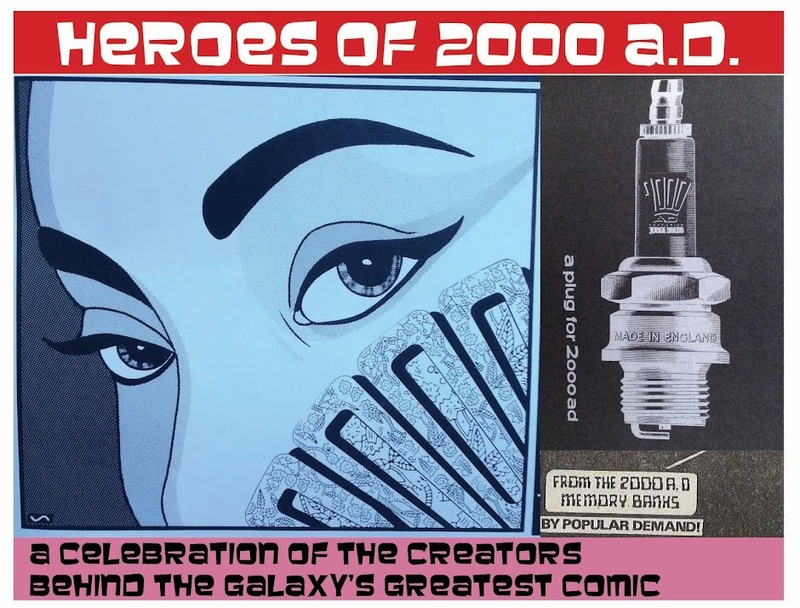 And, yes, worth celebrating for making righteous good use of the talents of its artists, in this case Reardon and Dowling (and Antonio Fuso on parts of Book 2) – something Williams has proved as capable of doing as the likes of Pat Mills. I would also say that Book I especially is as much an exercise in a particular style fo writing. If you're into the Western narrator tropes, florid language complex grammar and all, it's just brilliant. Oh, and it manages to be a comic that is entirely about the redemptive power of love, and yet not be cloyingly horrible about it. Superlative stuff. A dead man hanged for his crimes. What does THIS mean? Williams has some answers. Just time to mention Orindary, another story of super powers but this time perfect in conception, characterisation and execution. Go and read it yourself if you want to find out why! It’s like watching a master at work, reading a new Rob Williams story. I can’t gush enough. A chat about Low Life on 2000 ADs own site. Destroy the Cyborg discusses Orindary. Dirty Frank gets attached to his inflatable friends, puncturing the tension of the story. *I used to be quite into the Fantastic Four, who provided very direct inspiration for these two Gods in particular. ***No disrespect to Si Spurrier and Frazer Irving’s creation, Jack Point. A Wally Squad judge who is also a Simp, and in his way even more unlikely than the Low Life crew. Who should definitely team up with Dirty Frank again, if only so their inner monologue caption boxes can have a fight.